Following on from the recent success of the the Kirchin recording 'Quantum...', Trunk bring to life these two amazing albums that have NEVER been released before. Both are very different recordings, but are important missing parts in the mysterious musical life of Basil Kirchin. 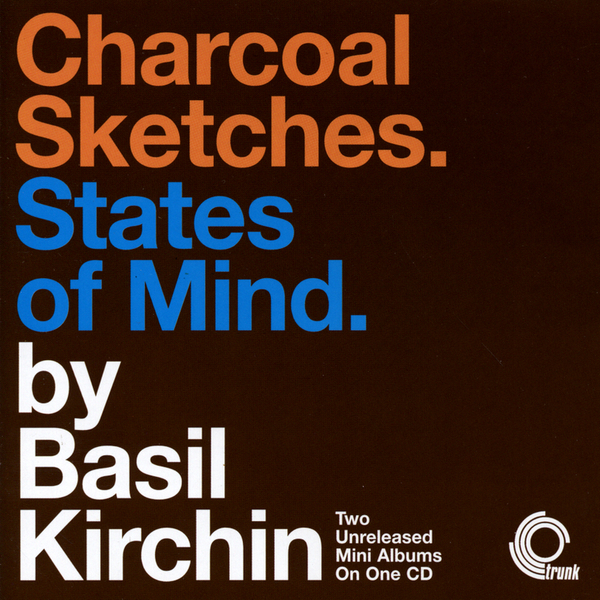 'Charcoal Sketches' ‚ was recorded before 'Quantum' and represents the initial musical jottings made by Basil before he built up his ideas into the magnificent avant garde opus we all know and love. The music is far gentler than 'Quantum', featuring some sublime piano and the early use of slightly manipulated birdsong. This trio of sketches falls into an eerie, radiant home-spun jazz experimentalism that works perfectly as soundtrack material - quite amazing that the pieces haven't been heard before. The Second part - 'States Of Mind' was a recording made by Basil in the late 60's for a medical documentary about mental disorders. Its important to note that this recording represents an early collaboration between Kirchin and the avant garde hero Evan Parker - this has to be one of the first times Parker is captured blowing in his new, free style. Fascinating listening that comes highly recommended.